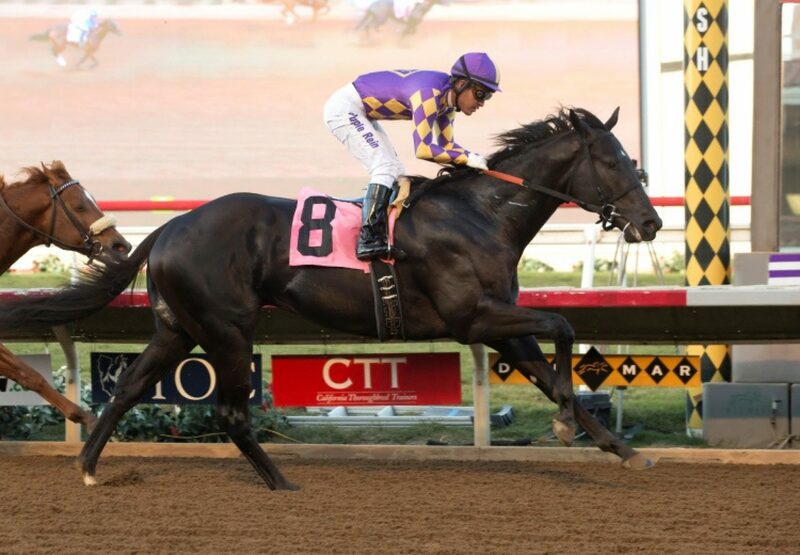 The most expensive yearling from the first crop of Shanghai Bobby, Cool Bobby (2c Shanghai Bobby x Coolwind, by Forest Wildcat) opened his account with a determined victory at Del Mar on Saturday. A good second on debut at Santa Anita last month, the Peter Eurton trained colt was sent out favourite and found the line strongly to score a neck victory in the six furlong maiden. A $575,000 Keeneland September purchase, Cool Bobby runs for CRK Stable and is a half-brother to Grade III winner Looking Cool from stakes-winner Coolwind. Cool Bobby is the tenth winner for Shanghai Bobby, who has sired eight individual stakes horses headed by stakes-winners March X Press, Mr Pete and Gotta Go.